We have great news to share with you! Our daughter, Amanda Craciun Washek received the ultimate gift of life – a life-saving liver transplant on August 11th at the Hospital of the University of Pennsylvania. 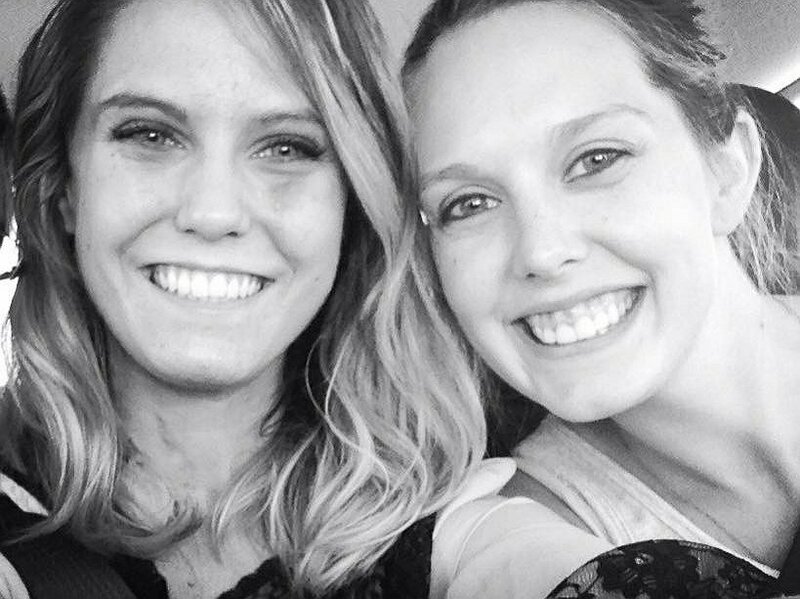 Amanda’s life-long friend, Madalyn was her living donor. There are no words that can express the gratitude and appreciation we all have for Madalyn and her decision to offer a part of her liver to save Amanda’s life. They are both doing well as they recover from surgery and talk about all their future plans together. Amanda is 24 years old and currently living in North Carolina. She is a wonderful daughter, sister, wife, and good friend to many. Amanda grew up in Girard, PA and graduated from Geneva College. Following graduation she married her high school sweetheart, Justin. Just before Amanda and Justin celebrated their first anniversary Amanda was diagnosed with a rare liver disease called Primary Sclerosing Cholangitis (PSC). There is no cure for this disease, so a transplant was her only option. She can now look forward to living a long and healthy life. As you can imagine the cost of a liver transplant is overwhelming. Even with insurance, there are many expenses that must be paid out of pocket. Some of these are co-pays, deductibles, lab fees, travel to and from the hospital in Philadelphia, and her relocation expenses at the time of transplant. In addition, Amanda will need to take anti-rejection medications for the rest of her life. As you can see, our family faces a challenge we cannot meet alone and we need your help. A fundraising campaign in Amanda’s honor has been established with HelpHOPELive, a trusted nonprofit organization that has been providing community-based fundraising guidance to patients and their families for more than 30 years. All donations are tax-deductible, are held by HelpHOPELive in the South-Atlantic Liver Transplant Fund and are administered by HelpHOPELive for transplant related expenses only. To make a donation to this fundraising campaign, click on the Donate Now button. On behalf of Amanda, Justin and our families, thank you for your kindness, generosity, support and prayers. Today is such a special day. The day my husband was born and the day I was born again. 2 years of new, abundant life. So thankful for my donor who selflessly risked her life and took so much time away from her life, and pain on her body… to save me. You’re my living angel and the best friend anyone could dream of. To my surgeons and doctors who meticulously knit me back together. To my Savior who saw fit to give me this life, twice. And my family (blood and not) who loved me and continue to love me through this transplant journey. I am so thankful for each of you. I have a past, present, AND a future and that’s something not everyone can say. Happy 2 year liverversary to me, Madalyn, and to all those who have supported & loved me. This is your celebration, too. Also… if you made it through all that, PLEASE, donate life. It is one month after surgery, and Amanda & Madalyn are doing very well! They are still resting and healing at the Transplant House in Philly. We serve an awesome God! Things are going well! Each day we are learning more and more about life after transplant. This is quite a journey! But, we know that we have an amazing support system, and God by our side each step of the way! Amanda and Madalyn are recovering very nicely. We are so thankful! Please continue to lift them in prayer! The girls are in surgery and doing great! God is good! We have less than 24 hours until surgery! We are feeling all your prayers! Thank you! We are all so blessed for knowing each and every one of you! 3 days until surgery! Please keep us in your prayers! 10 days until surgery! Pray as our families get everything prepared for our trip to Philly! Surgery is officially scheduled for August 11! Woohoo! Great news!!! Maddie is a match! Praise the Lord, surgery will happen next month! Amanda, I am so glad things are going well. For all you both have been through, you look really good! How blessed you are to have such a loving friend and a wonderful husband and family. You are in my prayers daily! Praying for a speedy recovery for both of you! I am praying for both of you! Been praying regular, extra special prayers today!